There’s a nearly endless source of energy out there in the center of our solar system, and the collection methods we have here on the surface of the Earth only grab a very small fraction of it. If we could harvest solar energy directly from space, the useable amount would increase dramatically. 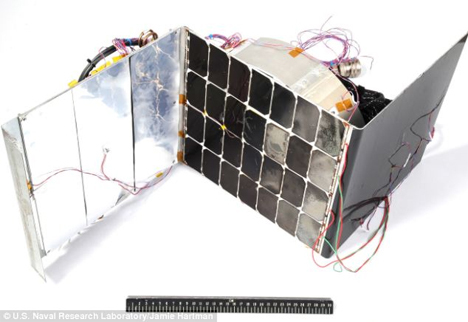 The US Navy Research Laboratory is testing out two modules that would float in space to collect solar power and beam it to Earth. Arrays of the modules could produce enough energy to power entire cities. The team, headed by Dr. Paul Jaffe, is working on two designs. One uses a “sandwich” model: the electrical components are all packed between two square panels. The top of the module is a solar collector and the bottom is an antenna that beams the power down to a receiver on the ground. The other design uses a “step” model which is more or less an opened-up version of the sandwich model. The open design is far more efficient; the larger surface area allows it to capture more solar power without overheating. 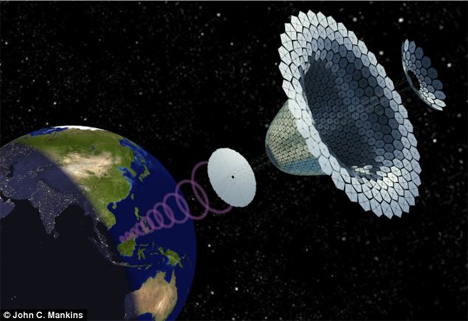 Although the idea of sending a solar power collector into space isn’t new, the scope of this proposed project is impressive. Dr. Jaffe expects the finished modules to span a full kilometer, which would necessitate their being built in space by robots. 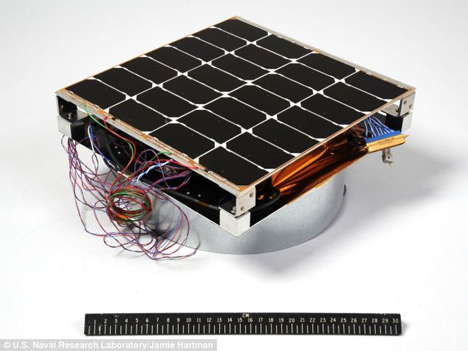 Small scale models of the modules have been tested in space-like conditions and have been found to be more than four times as efficient as previous concepts. While many people have expressed concern over the safety of beaming solar power down from space, Jaffe explains that there wouldn’t be a high-powered death laser aimed at Earth; the power would likely be transmitted using safer microwaves, and they would only hit specific receivers set up to receive the space power. See more in Energy & Power or under Science. November, 2014.